Umberslade Farm Park is located in Tanworth-in-Arden, Warwickshire. A short distance from Solihull and Redditch. 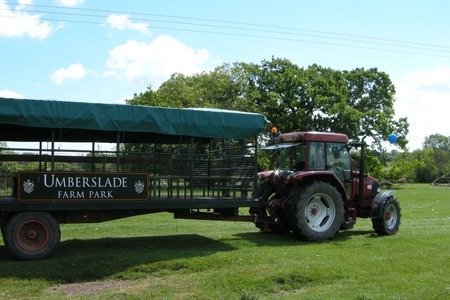 The farm was formally known as Umberslade Children’s Farm, but was relaunched during May 2010. We went along on the relaunch weekend. There were a few additional features which I think were only running for the relaunch weekend, including bouncy castles and horse carriage rides pulled by shire horses, but I believe the rest of the activities were standard feature of the farm. The first thing we noticed were the number and frequency of the activities listed. At previous visits to other farms we have had to plan our day based around the schedule of events, but at Umberslade there were lots of activities repeated at several times during the day that we were easily able to fit in the activities we wanted to do and in some occasions just happened to be in the right place at the right time. There were also some other activities that we didn’t get time for including falconry display (we saw a little of this from the car park as we were leaving), goat milking and pony care. 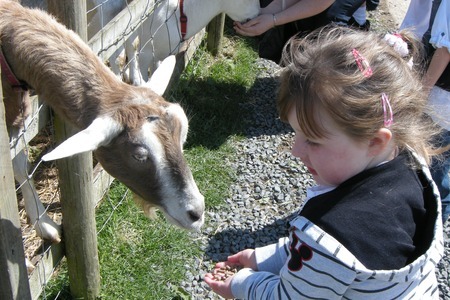 Once we had paid the admission fee all the activities were included except for the pony rides which had a reasonable £2 additional fee and the duck / chicken feed which had a small charge. There seamed to be lots of staff around and they were all very friendly and helpful. One of the members of staff, in the activities barn, took the time to introduce us to the 3 donkeys and even encouraged one of the donkeys to come closer so that we could reach over and stroke him. We ate lunch in the café. The choice of food was a little limited, but the quality was very good and we didn’t need to wait long for it to be prepared. I’m not sure whether they had any colouring for the kids, but we didn’t need to ask as the food was out quickly. There is also an ice cream kiosk near the children’s play area which sold sandwiches and ice creams. There is only one toilet block, but it did include baby changing and wasn’t too far from anywhere in the farm. We were fortunate to have good weather, but lots of the farm and some of the play activities are indoors so there should still be plenty to do regardless of the weather. We had a great time and the children can’t wait to go back again. 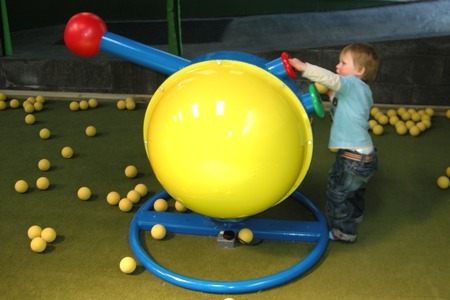 This entry was posted on Monday, June 7th, 2010 and is filed under Babies, Children, Days Out, General, Midlands, Redditch Worcestershire, Tourism. You can follow any responses to this entry through the RSS 2.0 feed. Both comments and pings are currently closed.